Once Upon a Time provides a truly home from home experience for your child. Our highly qualified, fully trained and experienced childcare staff deliver brilliant quality, bespoke care for babies and toddlers while our fully qualified pre-school teachers work to prepare children for primary school. Our small, caring, safe and fun environments are perfect for encouraging active learning and allow us to nurture each child as they develop and grow to help them reach their full potential. Each and every child is a unique individual and every family has their own way of bringing their children up. We are small enough to offer a truly bespoke and responsive level of care to best meet the requirements of both the child and their parents. Everything is geared towards helping make the childcare arrangements in your busy life as easy and convenient as possible, while offering your child a fantastic, fun and rewarding learning experience. 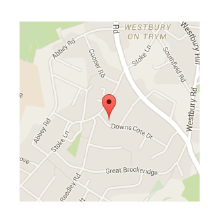 Our Westbury on Trym nursery is situated on a quiet residential street just off Stoke Lane. We have a baby area upstairs with a play room and sleep room. Downstairs we have separate areas for cubs (under 3s) and lions (our pre-school stage children) as well as a messy play room. Our garden has a play area, sand pit and a vegetable patch. Toni joined Once Upon a TIme as deputy manager and stepped up to manager in early 2017. Her passion for providing top class childcare is infectious and her ability to turn her ideas from imagination into reality is truly inspiring. Toni has worked with children her whole life in a variety of settings but as soon as she found Once Upon a Time and saw our small, special nursery things just clicked. The manager is so important in a small setting like ours and since taking over from our wonderful long serving manager Lorraine she has become a foundation of nursery life and is clearly loving her role. Anna Ephgrave, the award winning academic and author specialising in early years education was impressed by Toni and her stories from Once Upon a Time! Another Graduate on the Team! We are delighted to announce that Chanel will graduating next month from her foundation degree in Early Years Education and is moving on to her BA Honours degree in Early Childhood Education! We have 2 new members of staff joining the Once Upon a Time team!